Is assessment a necessary evil or a blessing in disguise? As a learning professional, do you regard assessment to be part and parcel of your job role? If you do, then you aren’t alone but why is the learning profession so obsessed with assessment? Is it by desire, or as a result of coercion from line managers and senior executives? Even if the reasons are largely historical, this still doesn’t make the need for assessment to be right, or serve as an excuse when it’s done badly, which, alas, is all too often the case. Today, in several countries there is much controversy surrounding the excessive testing of school students. However, for some time there has also been a growing groundswell of criticism about the use and frequency of assessing adult learning. Does the love of measurement lie at the root of the obsession with assessment? After all, just think of all those quotes and saying extolling the value of measurement: “If you cannot measure it, you cannot improve it”, “If you cannot measure it, you cannot manage it” and “If you cannot measure it, it doesn’t exist” – so it must be a good thing, mustn’t it? Okay, many people do want to know how they are doing, be they a learner, a manager or the organisation as a whole. So measurements that inform them of what they want to know are a good thing. However, there are two aspects to this: the first is what is actually being measured, and the second is how it has been measured. The truth is, that what you measure is what you get! So, does the fact that I have scored 100% on a compliance or regulation-based test mean that I am competent to perform either in the workplace? If all I’ve been assessed on is knowledge and not understanding or the application of that knowledge, then probably not. Designing valid and reliable assessments is an extremely skilled and experienced activity. 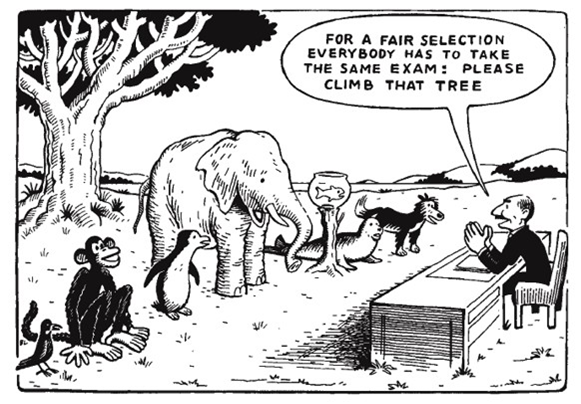 As with other aspects of learning provision, there are far too many who assume that anyone can design assessments. It is largely this assumption that has led to assessments being used when they are not needed and, when they are needed, being designed so poorly. Do you think that the time has come for the learning profession as a whole to acknowledge that assessment has got totally out of hand, as well as being conducted extremely badly in far too many instances? Why should assessment be assumed to be a given when people are learning? Instead, should its use be questioned and challenged in each and every situation? Measuring and collecting data are just fine, as long as there are reasons for doing the former and collecting the latter. If no reasons can be provided, then should we leave well alone and just get on with helping people learn what they need in order to do their jobs better? Lots of questions, so join in and discuss these and others on 2 June, 2016 08.00PDT/11.00EDT/16.00BST to see to what extent assessment is viewed as a necessary evil or a blessing in disguise.